The Griffith Observatory will be closed for two weeks due to four major projects involving construction along the roads and at the Observatory building, the Los Angeles Department of Recreation and Parks announced Thursday. The closure will happen from April 22 through May 6, when there will be no public activities at the Observatory, and no vehicle or bicycle access to East and West Observatory Roads, the Observatory's parking lot and Vermont Canyon Road past the Greek Theatre. 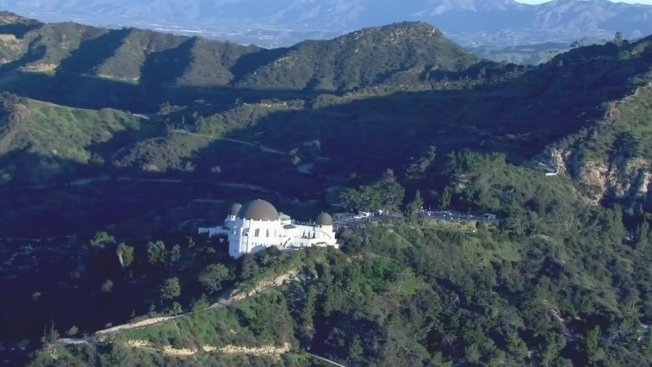 The Los Angeles Department of Recreation and Parks, which owns and operates Griffith Observatory, said it is undertaking the projects to improve visitor access and safety and to repair fundamental building systems. The Department of Recreation and Parks also said that no vehicles will be allowed on Western Canyon Road past Fern Dell on most days of the closure period. DASH Observatory daily bus service will also end near the Greek Theatre, instead of at the Observatory, and no public vehicles, including shared ride and tour buses, will be allowed past the Greek Theatre. Limited pedestrian access will be allowed to the Observatory hilltop area -- including views of the Hollywood Sign and access to exterior restrooms -- throughout the two-week closure period, but on selected days, all pedestrian access to the Observatory hilltop will be prohibited, including access from trails that end on the Observatory grounds or parking lot. Park Rangers will post signs along trails to alert pedestrians, while updates on work and closures can be found here.